Somewhat more popular than the Majestic due to its scaled down size, the Majestic Jr is sleeker and more slender, fitting the hand with a comfortable balance to make your writing experience unrivaled. All accent rings, bands and caps are cast 3-D designs featuring a heavy plating of rhodium and black T/N. The clip is accented with a single clear Swarovski crystal. 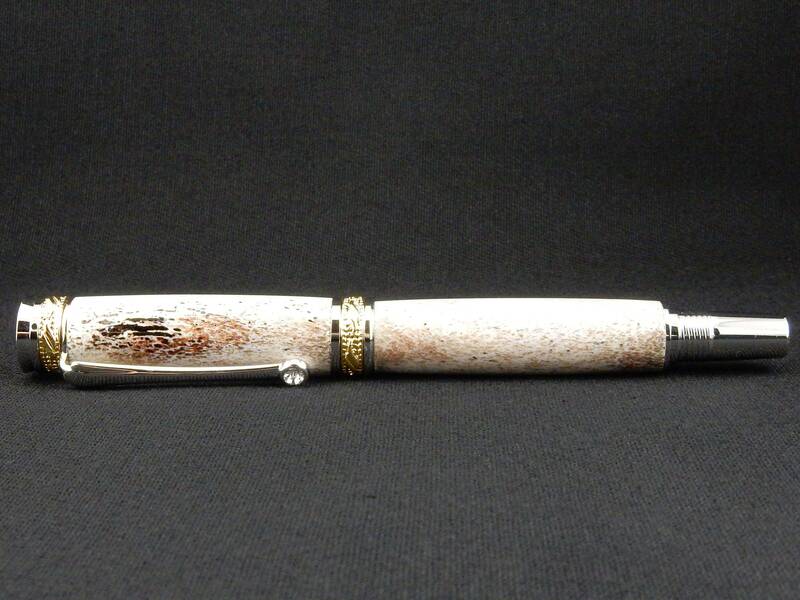 This is a gorgeous high end collector's pen. 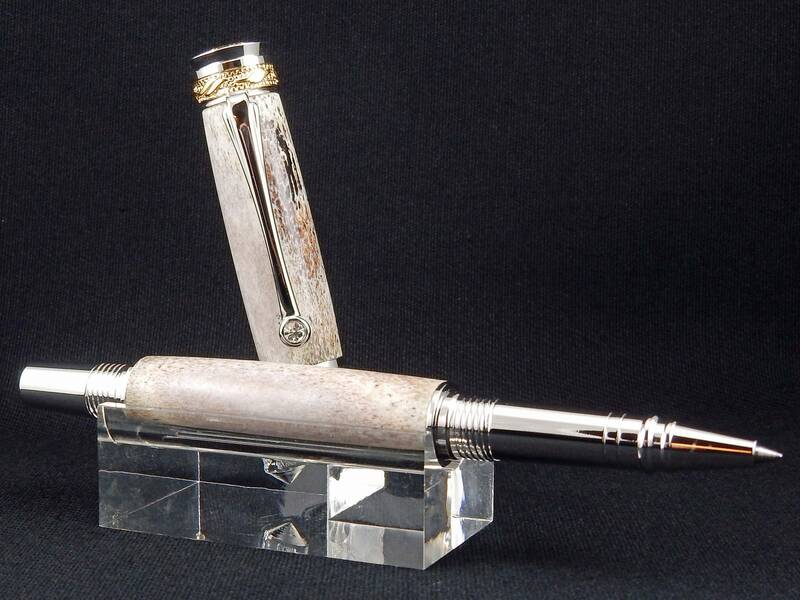 As a rollerball, the pen will accommodate a Schneider, Schmidt, Hauser (or similar size) refill. As a fountain pen, an upgraded Heritance nib, available in either Fine or Medium point, will replace the generic kit nib. Please make your preference know in the notes during checkout. 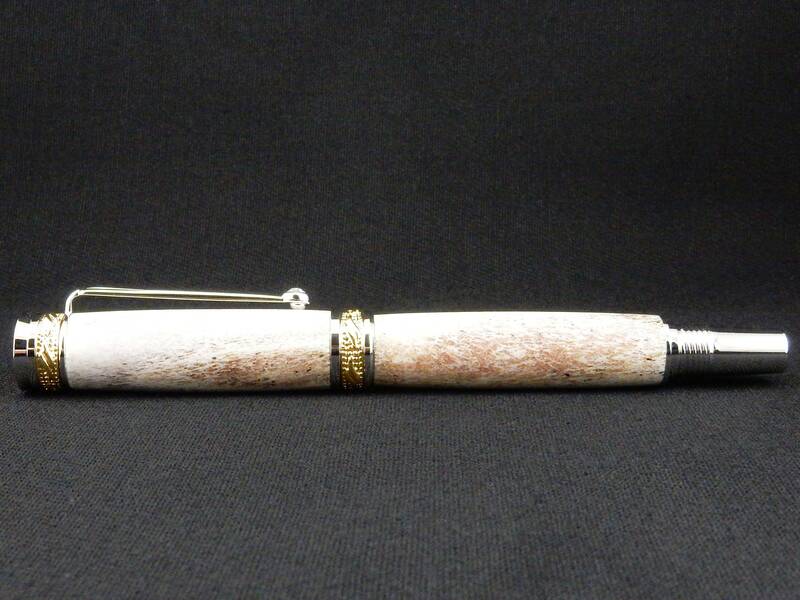 A truly classic look, this pen is hand-turned using a beautifully selected piece of whitetail deer antler. 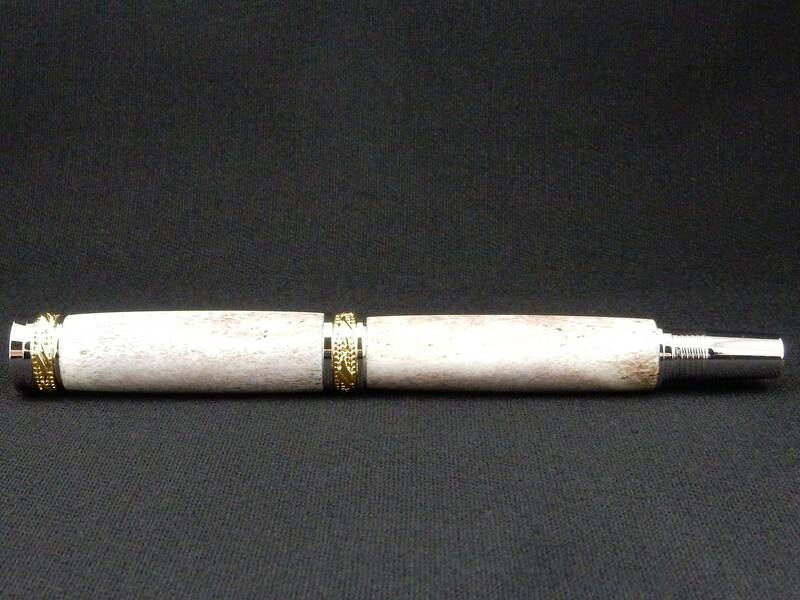 The pairing with cast rhodium and 22k gold makes for a truly stunning writing instrument.